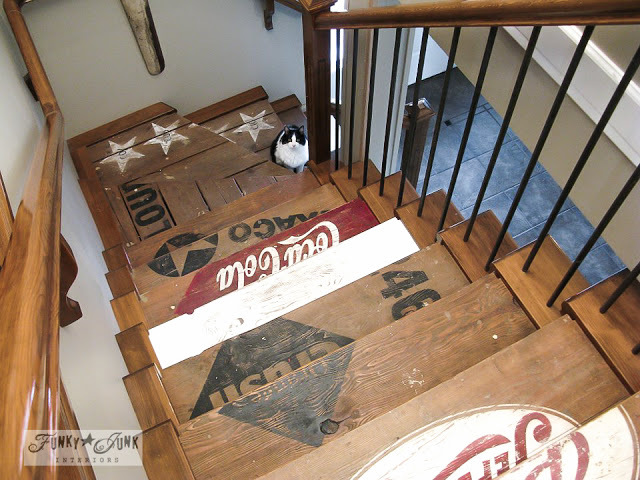 This old crate stairway project comes with quite a story. I was in the middle of an online decorating contest doing up these stairs, when my mom passed away. But something inside told me not to quit. So I continued despite that very painful time, and ended up winning first place that week. It’s my belief that passion carried me through one of the darkest times of my life, but instead of feeling awful, I felt like living. These days, visiting my Mom is a little different than in previous years. But one thing never changes. I first run off to Starbucks for a coffee, then come and sit with my parents. Bear with me as I get through the tough part here. I promise you, this post will be positive. Each time I walk past these squeaky gates into the cemetery, a lump in my throat takes over. I start to feel sorry for myself, and question why I came. And then I get busy, searching for my parent’s headstone. It’s not hard to find. 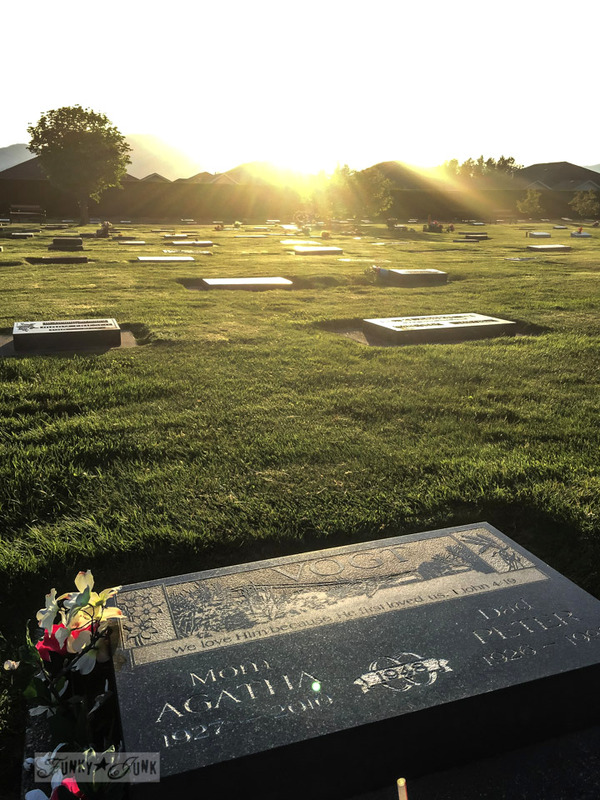 My sister Wendy has taken over the family tradition of scrub brush, soap and flowers in hand, and cleans up the family headstones, adorning them with new flowers for the current season. You can tell our family headstone is visited. And so very loved. Thank-you Wendy! I love picking nice days to visit because they resemble my parent’s love. But on this Mother’s Day, I sat by the stone, and put my hands on the engraved part. It’s a picture of our farm. I noted the stone felt warm where it was carved, but cold where it wasn’t. How interesting. The warmth radiating through my hands overtop the old farmhouse I grew up in took me to my mom’s sweet condo, where she moved after the farm. My fav thing to do there was sit at the kitchen table beside her fireplace, sharing a coffee and goodies. And talk about nothing. So many wonderful nothings! Going to Mom’s was like a hug. It was the only place I felt I could let down my guard and just be me. I could leave my parenting strength at the door, cry if I wanted to, or just go have a nap, after being tucked in by my mom under her flannel covers. Because Mom would take over and everything would be ok. 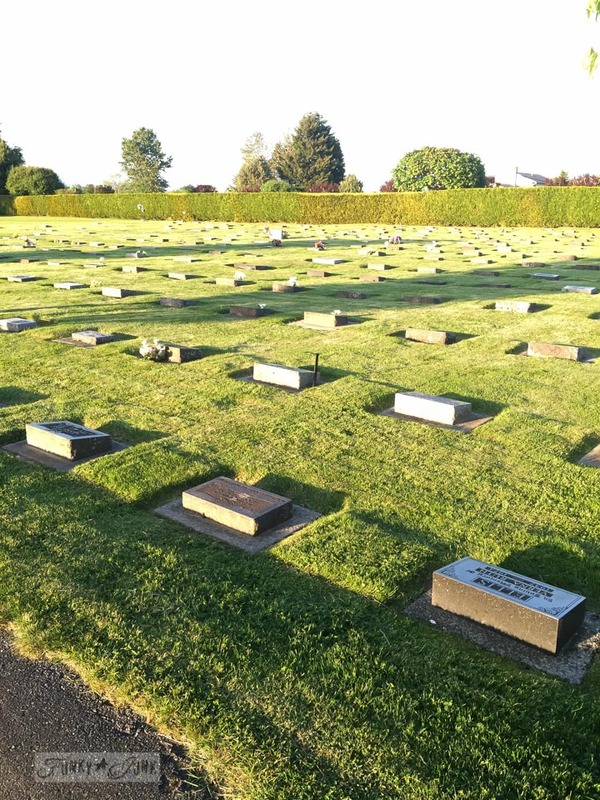 I allowed that feeling to engulf me as I sat on the grass with my hands on the headstone. It’s hard on my own. Some days I feel like I won’t make it through the day. But small accomplishments keep me moving forward and breathe new life into each moment. Minute by minute. Each new moment has the potential to be so much… if only we’d let it. I do my best to focus on that. I do that by focusing on the blessings I do have. From a simple blade of grass or flower in full bloom out back, to our amazing adventures. There’s so much to be thankful for. I think what gets me through the hard parts is fully engulfing what our time on earth is really all about. This is such a short blip on the big screen of life. I realize we all have different beliefs, but when I go to this one restaurant in town, there’s a saying on the wall that is so ‘big’, I can’t even grasp it. I’ve never written it down, but it’s something to the effect that it a seagull picked up a pebble, and carried it to the other side of the world, and did that until eternity, that timeframe wouldn’t even come close to the real eternity. So when I compare that to say, 80ish years on earth, so short. So very short. 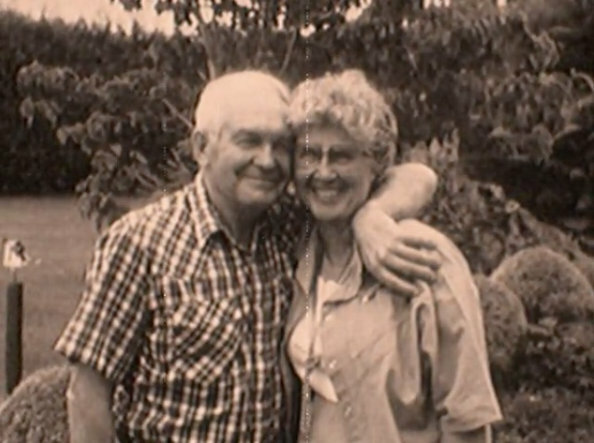 I miss my parents… and Mother’s Day is hard. But today is regarded as a day that I get to cherish all the gifts that have been given to me by my Mom. Her memory is so strong, yet gentle. Her presence hits me from tidal waves, to quiet laps against the shore. Plus we have so much right now. Don’t forget the now. That gives me strength. And places a smile on my face when I visit my Mom these days. 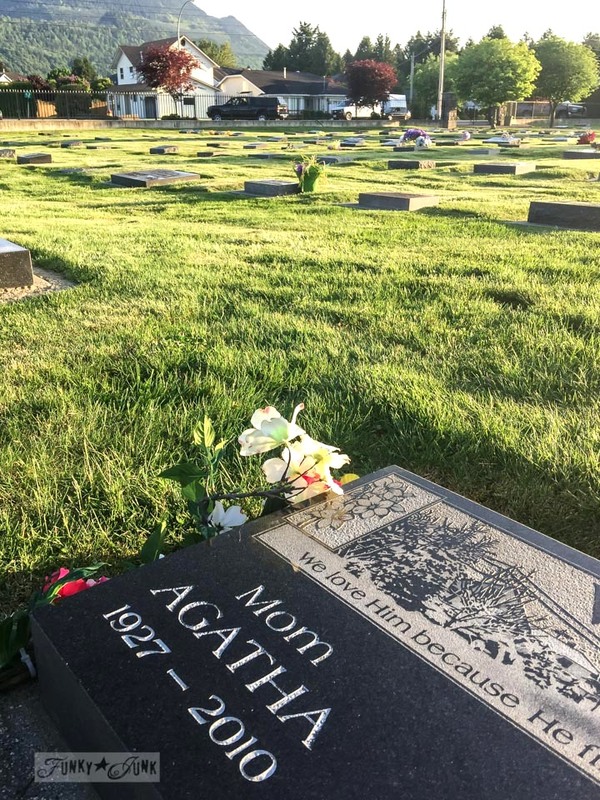 If you visit your Mom or parent/s in a similar place, let’s work hard at replacing our loss with the joy of what they have given us and what is to come. I know I’ll be working on this every day of my life. Are you there with me? It is what it is. So let’s just do this! … through my very own special Stairway from Heaven. If you’d like to catch a glimpse of our farm, watch this video. Thank you sharing. I lost my Mom on Dec. 1 and miss her like crazy. But I know she is in a far better place. Lovely tribute … reading your memories brings back memories of my Mom too. Thanks Donna. What a fantastic way of memorializing your mother – through THE project that is so brilliantly you and yours, Donna. Your words ring loud & clear to me, things my husband & I very often say to each other: “it is what it is”, “we’re just a blip on this earth and time”, and “enjoy the now”. Happy Mother’s Day, Donna and big, cyber hug. You’re doing great things in your here and now. Thank you for your sweet words reminding us that as believers in Christ we will soon see our beloved mothers (and fathers) again, and I hope we can tell them how their loving presence throughout our lives shaped us into the people we have become. Like you I had a wonderful mother who always made me feel completely safe and loved. I’m so very grateful to her and can’t wait to see her again! I know your mother would be SO proud of you and the courage and strength you have shown us all. May God bless and keep you and your son, who also has a wonderful mother! Donna, your words are beautiful the sentiment behind them, perfect! This was my very first Mother’s day without Mom, and your description of “her presence hitting you from tidal waves, to quiet laps against the shore” is exactly how it feels for me too. I’m with you, working every day on replacing the loss with the blessing and joy that was my Mom. Thank-you for sharing your heart. Please don’t feel that way. Think that your mom, today, does not suffer and works with Jesus! I would be sadder if she were stooped over in a bed? In pain? 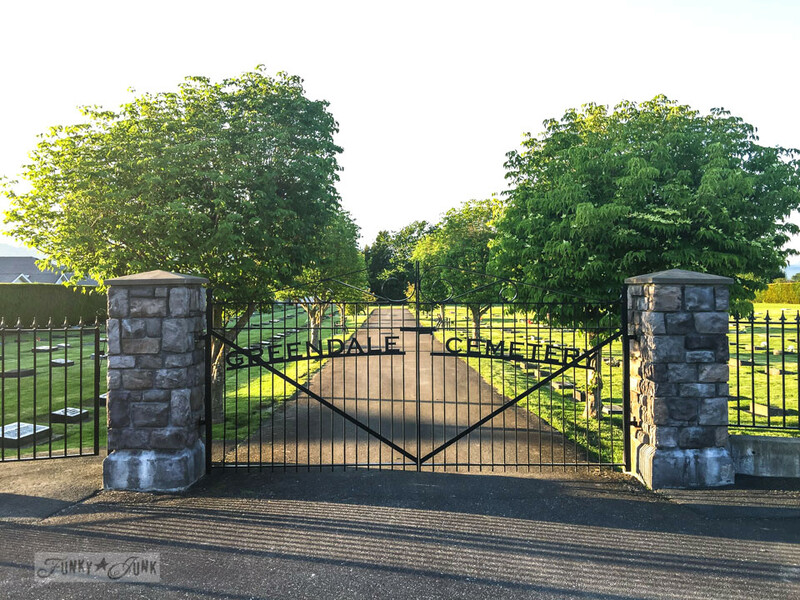 The passage through the gates of the cemetery should be only a passage for a moment of peace and prayer, with her. I’m so sorry for your loss, your sadness. “I love your heavenly stairway”! Donna, what a beauty tribute to your Mom. My Mom passed away 5 years ago this July. It is hard but she left me with so…many memories. I would love to have the saying on the sign in the restaurant if you ever write it down. The beach was always our happy place. I feel her presence there more than anywhere. I have always admired your stairway and it;s nice to know the story behind them. You are so…talented and I get so much inspiration from you. KEEP ON INSPIRING US! Happy Mother’s Day! Awwwww, Donna…((((((((((((((((HUGS!!!!))))))))))))))! I am so deeply sorry for the loss of your beautiful mother…I can tell by the lovely photo that you shared with us that she was a special lady…what a radiant smile she had…much like yours, actually. I am glad you are able to take solace in the warm and lasting memories you made together and also in the thought that this is not the end…that there is something more after this life. You do your mother proud, not only with this very touching post, but with everything you set your hands to…I just know her face beams with great pride, respect, love, and admiration as she looks down upon you! You are right that we should be focused on the NOW…I think your mother would want this for you, too…our life here is so short, we must do what we can to eke every little joy out of it that we possibly can and savour each moment to its fullest. I do believe you make this your credo, beautiful lady…and you’ve reminded me to enjoy my mother while I still have her close to me…thank you for that!